Twitter and Square co-founder Jack Dorsey is a rock star in the cryptocurrency space. Square started accepting Bitcoin in 2014, before nearly any other major credit card processing or payments platforms, and Dorsey has long been an outspoken advocate for Bitcoin and cryptocurrencies. Dorsey: With Square CashFree at iTunes Store another opportunity came up back in January 2017. I saw all these conversations on Twitter about it, and the community was interesting. It felt like Usenet all over again. At a hackathon that January I asked one of our engineers if we could work on Bitcoin, and the next day we committed to a goal to build a system where using my Cash card I could go across the street to Twitter HQ and buy a cappucino with a Bitcoin. We worked all week and started listening to other folks as well. We almost got there...we ran into a deployment issue and didn't actually hit the goal, but it felt electric. We decided to dedicate Mike [the engineer] to building Bitcoin within Square Cash." Dorsey: We want to continue to level the playing field and give people a chance to participate in the economy. I don't know whether it will be Bitcoin or something else, but I'm a huge fan and appreciate the technology and principles behind it. We're going to have a native currency that can be global, that was invented on the internet, evolved on the internet, critiqued on the internet and developed on the internet. It's going to happen. 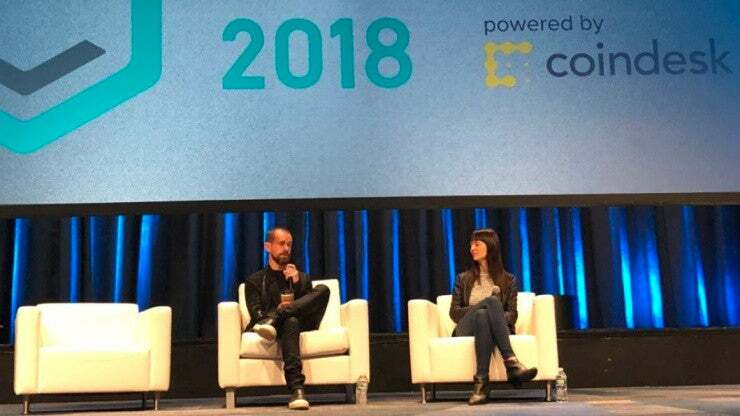 Dorsey: The biggest thing I worry about as a company is making sure nothing from a corporate standpoint ever threatens the openness of the community and the open-source nature of cryptocurrency. No corporation or goverment body should own this. We're a centralized organization, but we can benefit from decentralization, and I want to see more of it. The internet is going to have a native currency. That's our ethos, and we're going to do our part. If we ever go away from that, call us out, please. Hold us accountable to the right thing for the technology and the community. Our business concerns follow that. We can't do any of this without the technology being strong. Dorsey: On the Twitter side, there are a lot of applications in trust and identity. We can apply a lot of those technologies toward the problems we're seeing in terms of misinformation, manipulation, and we're trying to fight scams as well. There are broad applications of the technology, and we're going to have an open mindset.